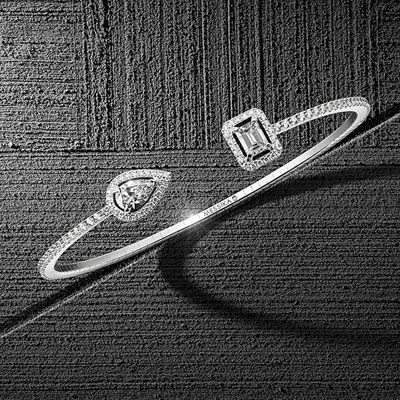 Founded on a passion embedded in family history, Messika Jewellery brings to life a collection of expressive diamonds that continues this affection. From a young age, Valerie built a fondness of diamonds through continuous exposure of the precious stones from her father, Andre Messika, a well-respected figure in the industry. He inspired daughter Valerie to turn a vision into timeless collections worn by those who appreciate the characteristic light and sparkle of each individual diamond. Many that currently share this view are glamourous public figures associated with prolific fashion publications. The passion in each piece is met with an exceptional level of craftsmanship from design to creation to illustrate the purity of these exquisite stones. 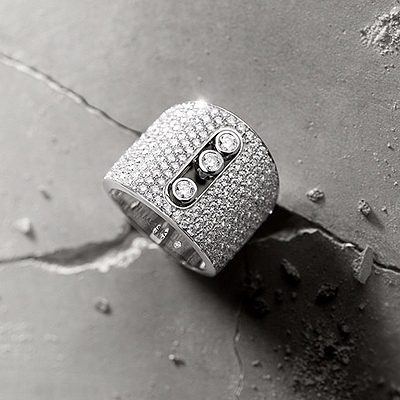 Adding a personal touch, Messika perfectly encapsulates the contemporary femininity and romance of a diamond. Fashionably designed with you in mind, all ranges seamlessly showcase the sparkling nature of both the treasured stones and Valerie herself. 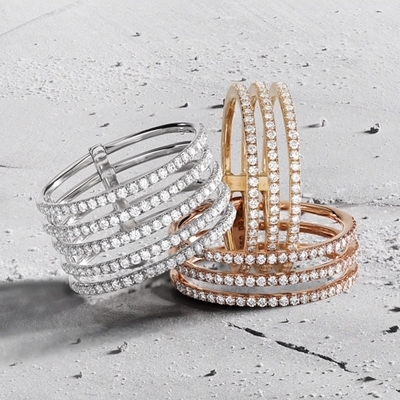 We believe that jewellery is more than just an accessory; it’s a story. 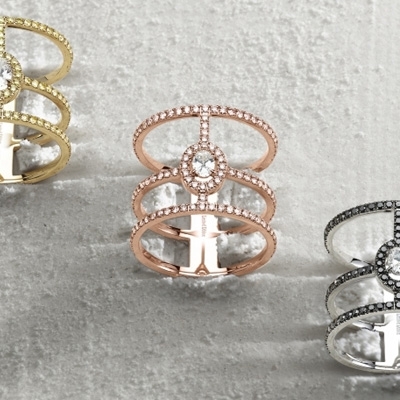 With each range representing a variation of undeniable charm, it is always the right time to start building your collection, whether it is with Messika rings, Messika bracelets or anything in between. Emphasis is placed on an understated ethos to represent the fine, fragile beauty of nature with an added edge. It is through the Messika Move and Gatsby collections, amongst many others, that this jewellery channels Valerie’s creative freedom to present the youthful spirit of its creator. Using the knowledge and expertise of our team of personal shoppers here at Banks Lyon Jewellers, you too can channel your spirit through a piece suited to your personality. Buy at your convenience In-Store, online or through our flexible pay monthly options. With 0% finance available on all new items and deposits starting from as little as 10%, you can spread the cost over a number of months to best suit you. As authorised stockists of Messika Jewellery, we ensure that every purchase is genuine and sold in the flawless condition you would expect from a luxury must-have collection. If you require further information on any Messika necklaces, Messika earrings or other items just contact us today by calling 01524 381020, emailing personalshopper@bankslyon.co.uk or alternatively, use our online chat.